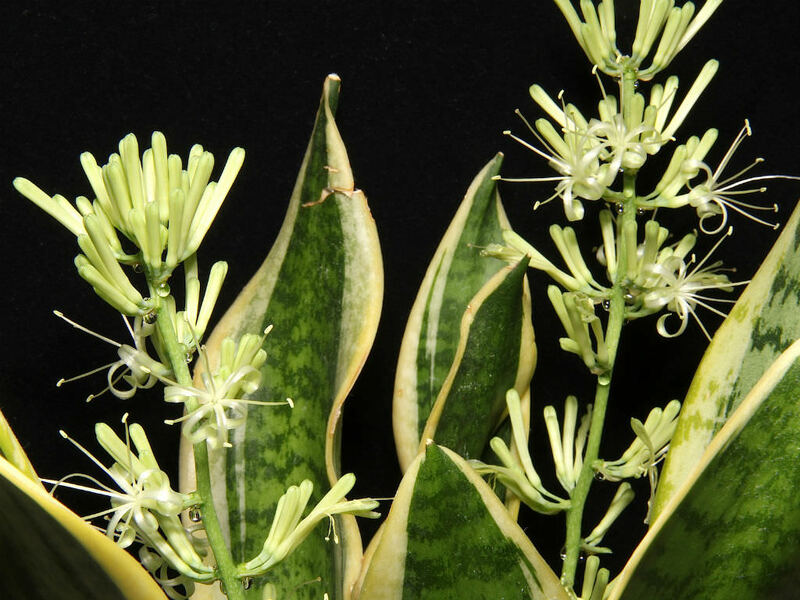 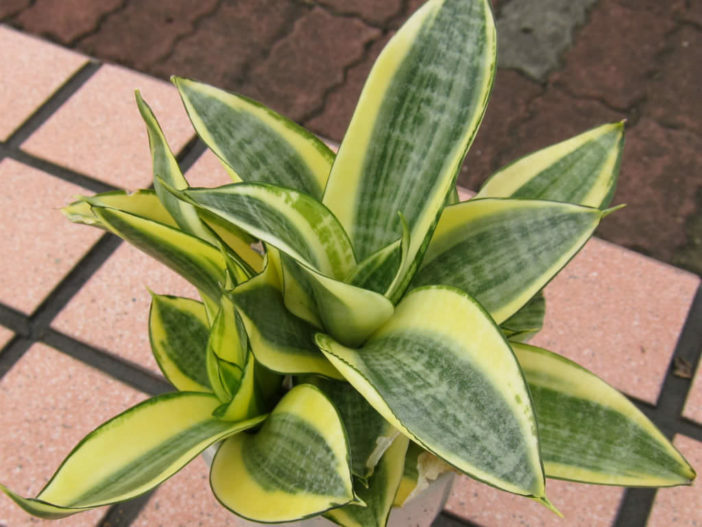 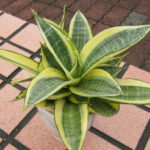 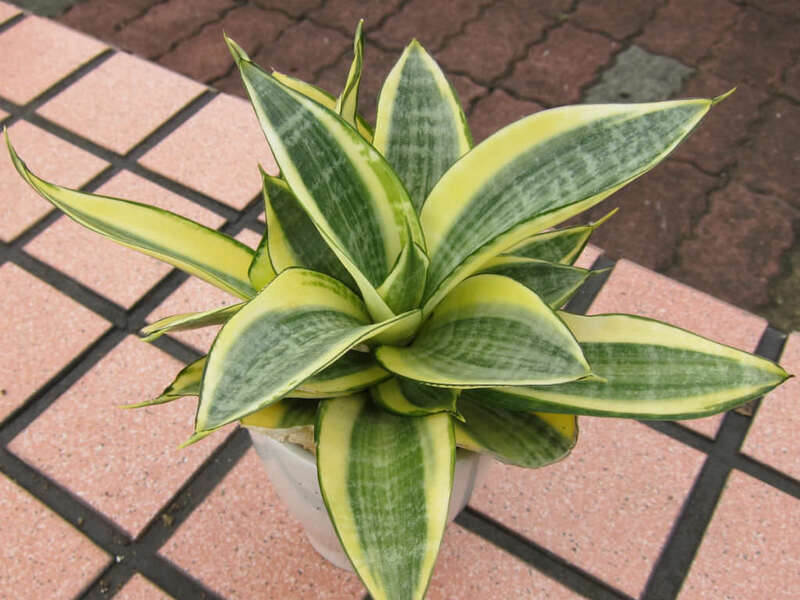 Sansevieria trifasciata ‘Golden Hahnii’ is a dwarf cultivar of the familiar houseplant Sansevieria trifasciata. 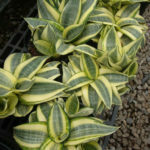 It is up to 8 inches (20 cm) tall and forms low rosettes of erect, oval, gray-green leaves with dark green cross-bands and broad, creamy-yellow margins. 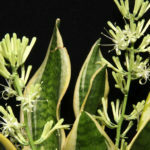 Blooms in summer or autumn with sweetly fragrant, greenish-white flowers. 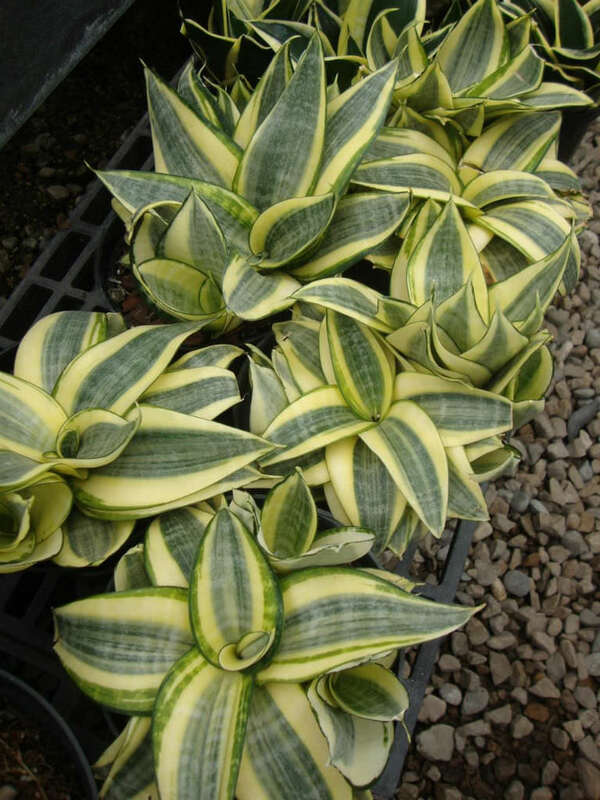 Sansevieria trifasciata ‘Golden Hahnii’ is a dwarf cultivar of Sansevieria trifasciata.